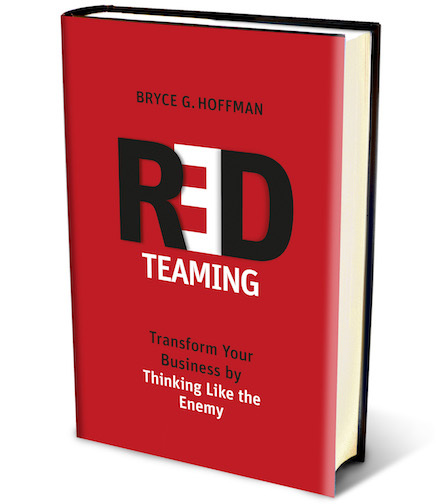 Developed by the military and intelligence agencies, Red Teaming is a revolutionary way to stress-test strategies, flush out unseen threats and missed opportunities, and execute more successfully in an increasingly uncertain world. 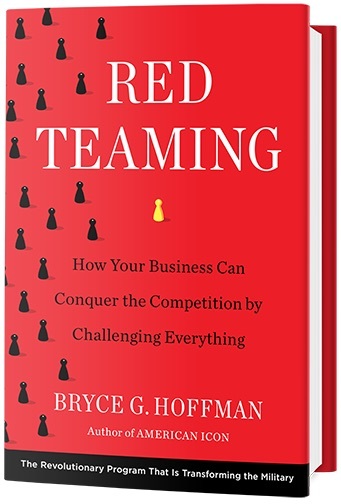 By making critical and contrarian thinking part of the planning process, red teaming helps companies and other organizations challenge their assumptions, strengthen their plans, overcome groupthink and outthink the competition. ... you can change culture, change companies, and change the world by asking the tough questions — and having the courage to listen to the answers. As president of Red Team Thinking, I help companies around the world think differently about their business. Let's talk about how I can help yours today. As the only civilian to graduate from the U.S. Army's red team leader program, I help companies red team their strategies and plans. I also train red teamers. I offer one-on-one strategic advice to CEOs, and help leaders around the world make red teaming and the BPR Process part of their management systems. I teach companies how to use the same management system legendary CEO Alan Mulally used to save Ford and Boeing to transform their business culture. ... you can inspire people with words and stories. I speak to companies and organizations around the world about red teaming, critical thinking, Alan Mulally's "Working Together" management system and the inspiring story of Ford Motor Company's epic turnaround.